This is a joint effort pilot initiative by several companies. 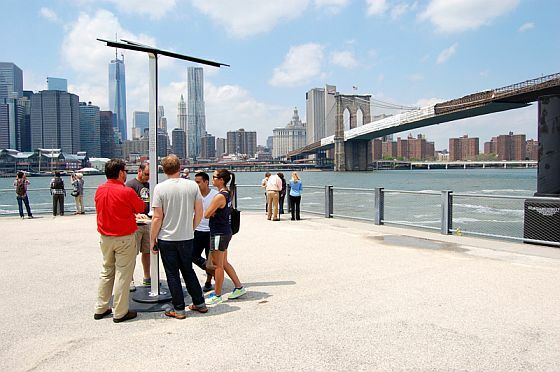 It provides free solar mobile charging stations at selected locations in New York City where the public can charge their phones, tablets and other mobile devices. Charging capacity : Up to 6 devices for several days without exposure to the sun. 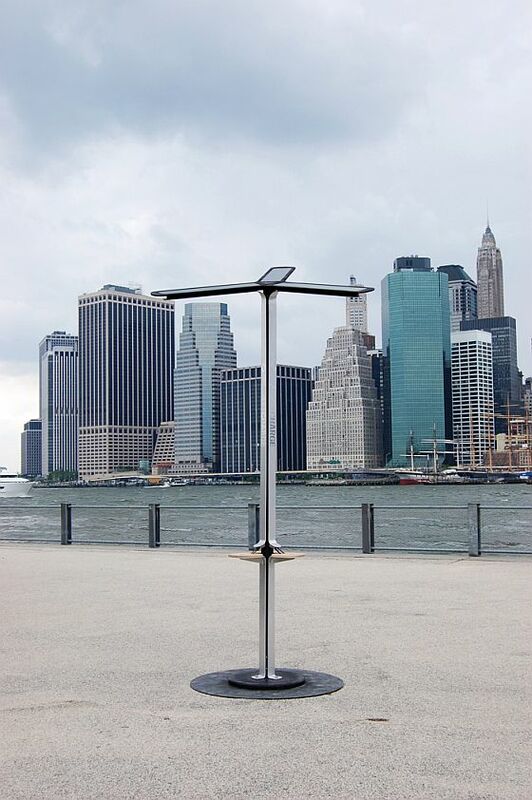 System providers : Funded by AT&T, solar panels technology by Goal Zero, designed by Pensa. 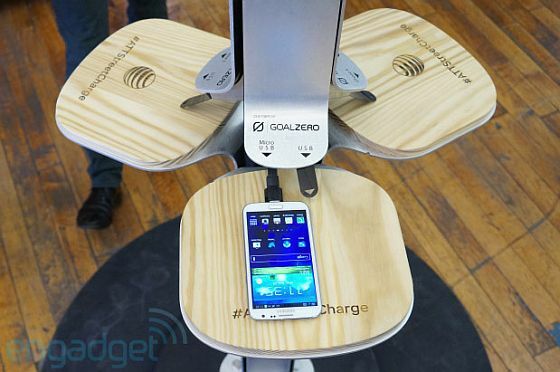 The pilot project is intended to provide a sustainable, green solution for mobile charging. First, there's this security issues with regards to would-be thief lurching, but this is something the service provider needs to address; together with the local/city authority. Secondly, it's probably impractical to wait there to recharge your mobile device battery completely, but if you have a few minutes to spare, it'll be very handy while you are out there taking a walk or chatting with friends. Nonetheless, this is something our town council or city hall can replicate here in Malaysia. In fact there's already pilot project in Kota Kinabalu city to build a Green Taxi Station that provide essentially the same as what AT&T offers in NYC. Pilot project can be done in the rural area, for access to cellular communication. Nothing is free anymore, mate! In the event that your rundown of home change ventures is escaping from control, now is the right time to assume responsibility of your arranging procedure. The undertaking of home change may appear to be overpowering, especially if your house is more established and needs loads of affection. I agree with Callme. But this is an innovative idea!